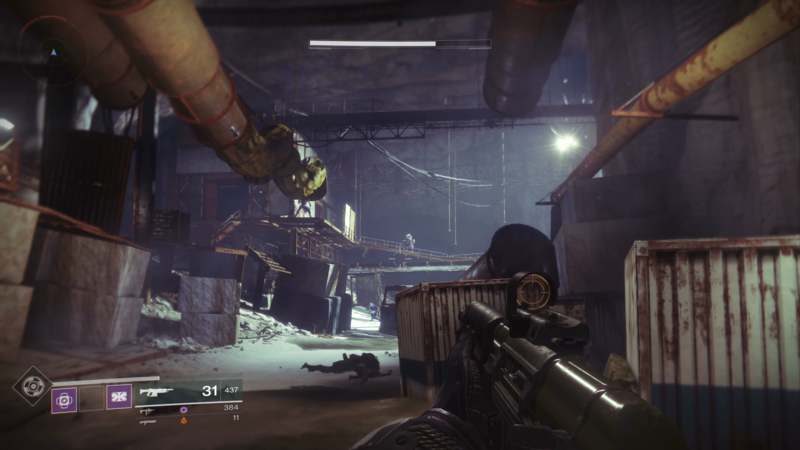 In this Destiny 2 Combustion mission walkthrough guide, we’ll help you through the mission set by Devrim Kay on the European Dead Zone. Complete the Combustion mission in Destiny 2 and you’ll unlock Titan in the Director screen. Should you instead need anything else on Destiny 2, including a walkthrough of every Strike mission in the game, as well as our comprehensive Raid 5 guide, make sure to check out our Destiny 2 guides walkthrough hub. 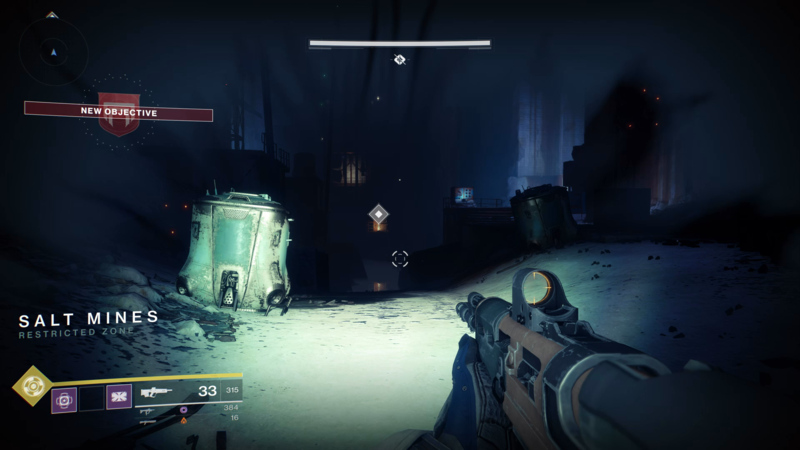 On starting the Combustion mission in Destiny 2 you’ll be faced with a wave of enemies near the truck. Take them out and head up the stairs and through the archway. There’s no one too difficult here. Carry on through, following the marker, jump up the small ledge and through the broken building. Follow this round and exit into a large area with transport containers. You won’t encounter many enemies until you make it into the next room. Here you’ll see a lot of foes on higher ground. Equip a weapon with a scope and take them out from distance. Once the nearest are dispatched, head up to the high platform on the left of the room to give you a good vantage point to kill the rest of the enemies in the room. You’ll be asked to activate a lift/elevator, but this comes crashing down and you’ll have to use the terminal to the right of this. Open the gate and make your way through the tunnel. The next room will see a lot of enemies come at you. Again, stay high and duck in and out of cover. Head to the rear of the room and take a right through the open door. You’re now in a spawning restricted zone, so be careful. If you die here you’ll have to start the sequence again. Equip a long-range weapon and use your high vantage point and useful crate cover to take out the flying enemies and grounded foes. Hop down as you clear the room and more enemies will emerge. The goal is to reach the bottom of this cavern. Again, follow the mission marker to make sure you’re heading in the right direction, and keep taking out enemies from distance with a scoped rifle. Eventually you’ll reach a room filled with explosive trip wires. These can be blown up by targeting the laser devices, but be careful not to do this too close or you’ll be caught in the blast. You don’t need to shoot them all, as many can be crouched under. 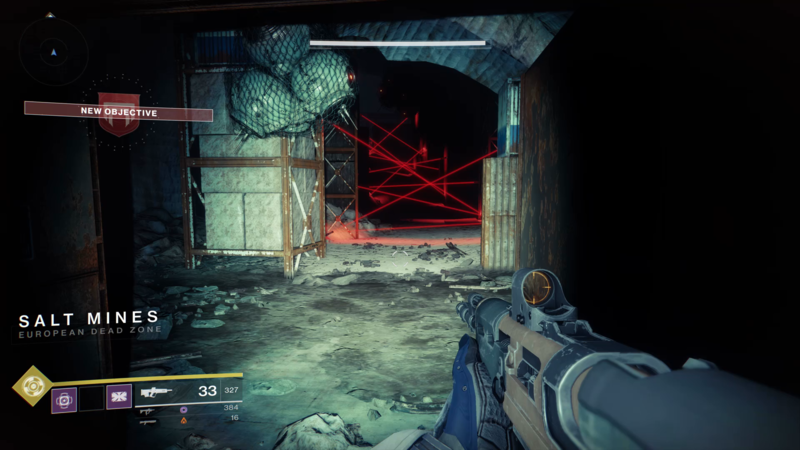 Make it through this laser room and you’ll be in another no respawn zone. 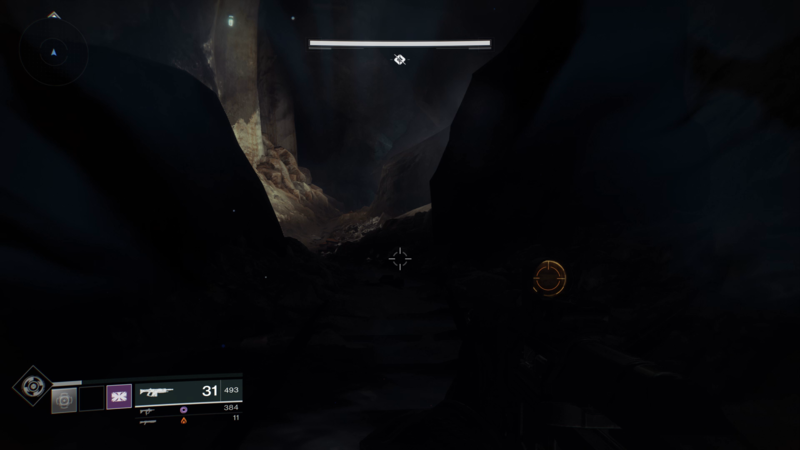 This is the final challenge of the Combustion mission and sees you having to take on waves of enemies as you wait for a lift to get you the the surface. Activate the lift at the far end of the room and then the waves will begin. These waves are backed up by Fallen Servitors, so take these out as quickly as possible. Target the centers and don’t be afraid to get up close to do so. Once you’ve managed to stave off the enemies for enough waves the lift will arrive and you can ride it to the surface. You’ll notice enemies trying to shoot you as you climb, but they won’t cause you any trouble. On the surface, simply make your way the marker to finish the Combustion mission. This will also unlock Titan, a moon of Saturn, which you can get to by travelling there from the Director screen. Below you'll find a video showing a complete walkthrough of the Destiny 2 Combustion story mission. If words aren't to your liking, this should help you get through the mission. If you want to see a comprehensive list of the all the most powerful, Exotic weapons and armor pieces that Destiny 2 has to offer you, then head on over to our Destiny 2 Exotic gear guide, where you can find all the items in the game that will undoubtedly enhance your Power level. We've got guides on how to get the Rat King in Destiny 2, how to get the Mida Multi-Tool in Destiny 2 and how to get the Sturm in Destiny 2.